SPOILERS AHEAD: Jeremy’s exotic Gu Zheng performance opens the episode over the Marvel logo, informing us we’re traveling to an exotic location, even before we see the majestic boats and bustling streets of Hong Kong. As we transition from the logo to the street, my music shifts from being purely score to being purely source. A dirty hip hop groove sneaks in under the orchestral strings. Jeremy’s Gu Zheng smooths out the seamless transition, because he begins as a color in the orchestra and ends up an off-camera street performer. “The Gil in the Flower Dress” is about… well… a girl in a flower dress, Raina, who seduces Chan, a street performer with a pyrotechnic superpower. She convinces him to come to her lab where she can increase his powers, naming him Scorch in the process. He morphs from a likeable, down-on-his-luck magician to a homicidal super-villain-in-training, corrupted by the temptation of his power. Once we realize that Chan is in the clutches of Centipede, I rely on the Centipede theme for the rest of the episode. Scenes with Debbie and Raina are underscored with deep, ominous low strings quoting the theme while the creepy bells state it more quickly above. Later in the episode, as Debbie and Raina make their escape towards the elevator, cascading tremolo strings flurry through the Centipede Theme in overlapping statements, while the creepy bells again ping out the melody. My favorite Centipede Theme moment comes at the end of the fourth act. Chan has betrayed S.H.I.E.L.D. and killed Agent Kwan, in a particularly gruesome, fiery homicide: his transition to being a villain is now complete. 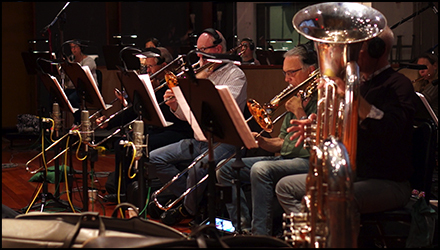 As he rises to face Coulson, the low brass blast out a huge statement of the Centipede Theme. Chan is now fully an agent of Centipede, and the most dangerous threat they’ve yet produced. The heavy, brassy orchestration offers a completely new take on the theme, which used to exist only in creepy bells. 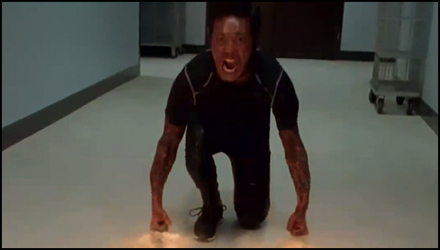 The Centipede Theme has undergone as dramatic a transformation as Chan himself. “The Girl in the Flower Dress” also develops Skye in a big way. She betrays her friends by tipping off a suspect they are pursuing, a young man named Miles with whom she is romantically entangled. When I first saw the episode, I assumed early on that the dramatic tension would come from Skye hiding her activities from the rest of the group. But, the episode takes an exciting and unexpected turn when she is caught almost immediately. Now, the stakes are more dramatically interesting: the story is not about what Skye is going to do, it is about what the group will do with her. This melody was originally introduced in Episode 103 “The Asset,” but is stretched into new dramatic territory in “The Girl with the Flower Dress.” I used cascading string ostinatos to heighten the mystery and tension as she first kisses Miles, implying more the danger of the situation and essentially ignoring any romance. I also brought back electric guitarist Steve Bartek and his ethereal warm tone, to create intimate background textures above which the orchestral strings could swirl her theme. After establishing this rhythmically exciting pattern in the strings, I added stabbing phrases from muted trombones, stopped horns and muted trumpets. I wanted the brass to puncture the texture almost like little sparks crackling in the darkness. 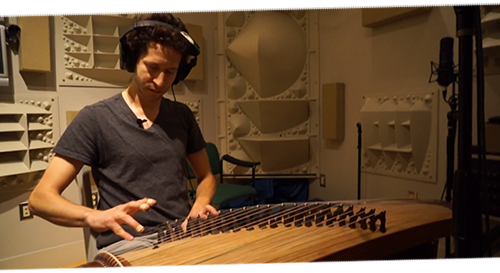 Jeremy Zuckerman’s Gu Zheng also weaves through the pattern, adding exotic energy. This action cue was one of the most challenging pieces I’ve composed yet for the series. Each individual layer is tricky on its own, but mashing them together made it even more difficult. The 7/4 pattern itself isn’t that hard to wrap your head around, but the trombones, horns and trumpets each added accent patterns in different meters on top of the 7/4. The upper woodwinds and harp frequently add blurry chaos to the texture, so all in all, its pretty chaotic. The cue was worth it, for sure. 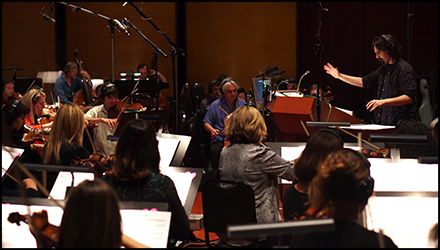 But, it took us a good chunk of our recording session time to get the feel under our fingertips and it pushed me to my limits as a conductor. “The Girl in the Flower Dress” was an exhilarating episode because it reveals an essential new corner of the Marvel universe to the series: individuals with true superpowers. 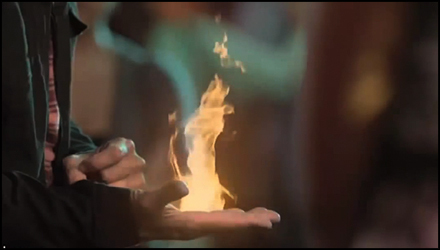 Unlike Mike Peterson from the pilot, Chan has powers of his own before Centipede got to him. We learn that S.H.I.E.L.D. has a list of individuals like him, which offers the tantalizing promise that we may yet see more. Scoring Chan’s scenes (sorry, I mean Scorch!) was fun because it allowed me to push my orchestral writing in a bigger, even more cinematic direction. 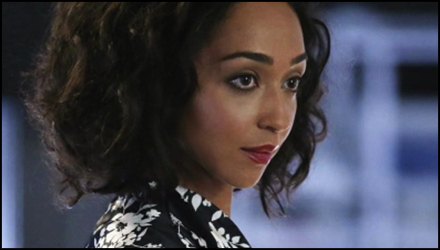 More importantly, however, this episode digs into Skye’s backstory and threatens her relationship with the team. Dramatically, this was the hook for me. Action scenes are fun, but thematic development happens when you get character development. “The Girl with the Flower Dress” allowed me to stretch Skye’s Theme into beautiful new arrangements, and now I have these new variations in my tool kit the next time I need them. This week is an exciting one! 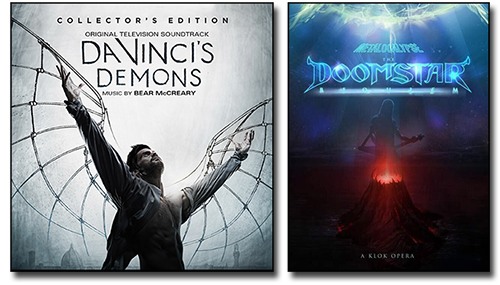 Today, the Collector’s Edition CD of my “Da Vinci’s Demons” soundtrack went on sale, and this Sunday is the Adult Swim premiere of “Metalocalypse: The Doomstar Requiem – A Klok Opera,” an animated musical for which I served as orchestral producer. The next episode of “Marvel’s Agents of S.H.I.E.L.D.” is honestly one of my favorites and features the most lyrical and emotional cues I’ve written yet, so check back soon for more blog entries! 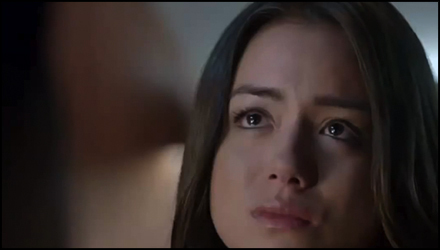 Blog, Marvel’s Agents of S.H.I.E.L.D.